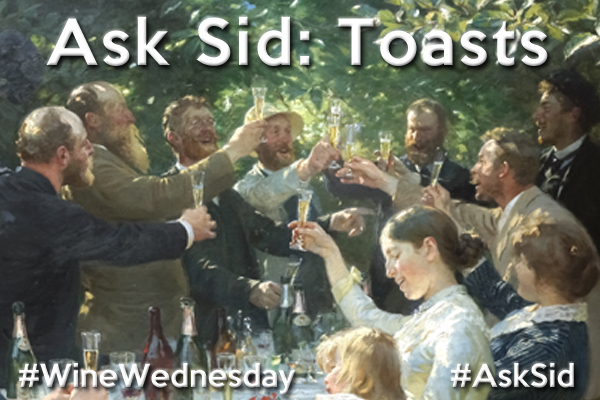 Question: Would you share your top 10 toasts? I could also use one for a rehearsal dinner for my son’s wedding too. Answer: Not big on memorized rigid toasts. Prefer to personalize something to the actual person or specific occasion. I would suggest you do the same for your son’s wedding. However there are hundreds of proven popular ones on the web that you could use or adapt by just googling wedding toasts. When I practised law I used Shakespeare’s Taming of the Shrew: “And do as adversaries do in law, strive mightily, but eat and drink as friends”. Now older and more philosophical I like Robert Louis Stevenson: “A bottle of good wine, like a good act, shines ever in the retrospect”. Have you ever given a toast?